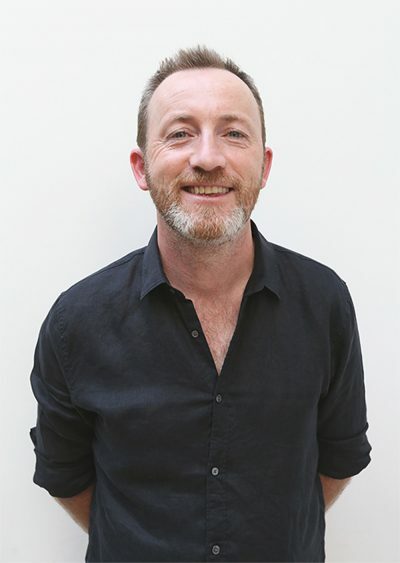 Martin Hughes is the co-founder and publisher of Affirm Press, the former editor of the Big Issue and, in 2018, a regular columnist for Books+Publishing. In his first column, Hughes examines why books are the perfect medium for a society looking to slow down amid the rapid onslaught of the digital world. I came into publishing on the back of a fad. About 10 years ago I had an idea for a book, The Slow Guide to Melbourne, and ended up with a little DIY indie hit. In fact, the book went so well that I was sucked into creating a series including Sydney (flop), Dublin (hit) and London (flop). That’s how I ended up as a publisher. A lot of water has passed under the bridge since then, at an ever-increasing speed, but in 2018, the first big media hit of the year has been an experiment in ‘slow TV’: SBS’s longform feature on the Ghan train journey. My friend, who produced and directed that show, urged me to watch it because he feared a zero rating, but it turned out to be SBS’s highest-rating show in 12 months. Many publishers must be wondering what could be in the slow trend for them, and someone is probably already planning a spin-off ‘Ghan’ book for Christmas. I wondered if the time was right to reprise the ‘Slow’ series, but then I was struck by the most obvious thing in the world: books are intrinsically and delightfully ‘slow’. At their best, books occupy a special, timeless place outside of old and new media. As publishers chase trends, it’s easy to forget that our supposed weaknesses in a digital world can actually be our strengths. Long timelines and layers upon layers of gatekeepers can feel frustrating in a world where a hot topic loses steam after a couple of months. But this is what books do well: they investigate these issues deeply and with hindsight, picking through complexities instead of spurting out an immediate reaction. Sure, we publishers make the most of trends when they appear (colouring books, Insta-poetry and anyone who has a huge social media following), but it’s critical that we stay focused on the qualities that have kept books at the forefront of culture since Gutenberg. Books are made, read and savoured slowly, and perhaps that’s the key to their future growth. These days, it seems the more information I have at my fingertips the less frigging clue I have as to what’s actually going on. Social media thrives on users getting a dopamine kick out of sharing opinions with people who will reinforce them. It’s increasingly difficult to distinguish between real and fake news, and the 24-hour media cycle rarely allows for real analysis and insight, and instead increasingly relies on sensational headlines and clickbait. So where can people go for entertaining, engaging and reliable information? The bookshop, of course. At the same time, Australian mainstream media is increasingly being controlled by the very few. Nine of our 10 metropolitan newspapers are owned by two companies and just four owners control 70% of the TV and radio revenue. Compare that to a market with at least 80 Australian book publishers and hundreds of international publishers feeding into the country, and where the big four take up about half the market share (a share which has declined in the past year). That diversity is something to proudly spruik. And thanks to our retail infrastructure, particularly the swashbuckling indie bookshops, any one of these publishers can compete book by book. We should all spruik the hell out of our industry’s unique strengths. Yes, it would be great to have public funds to promote reading in Australia, or our very own Oprah or Reese to put books on the agenda, but failing that, we in the book industry can be influential champions for reading. We should collectively try to make reading something that everyone aspires to do, whatever their interests (even if it’s just to make themselves look good). With social media stars quickly printing and selling their own books (to varying degrees of quality and success), it’s also up to us to preserve and promote what we do, and what we publish. Celebrate the ‘slow’ qualities of books—an ancient technology successfully withstanding the digital transformation of the world, created by devoted experts and curated by passionate people. We publishers will compete doggedly in acquisitions, for publicity opportunities, and over BookScan numbers, but when we’re out there talking to people who ‘don’t read much’ or ‘don’t read anymore’ we should all be aiming to get them back on board. Tell them what’s magnificent and unique about our industry compared to the distortion of social media and the disproportionate influence of a few people in mainstream media. And tell them to go and see this magnificent, unique and quintessentially slow industry in action: at the local bookshop.